One of the primary concerns patients have in deciding how to proceed with tooth replacement is the amount of discomfort that may be associated with a given treatment. Dental implants are small, artificial roots that must be placed into the jawbone where the roots of the teeth used to be. That description alone can create the perception that treatment is painful. Let's look a little closer at how dental implants are placed in our Pasadena office, so you have a better understanding of why so many people choose this method of restorative care. Whether we are placing a filling or a dental implant, we want our patients to be comfortable. 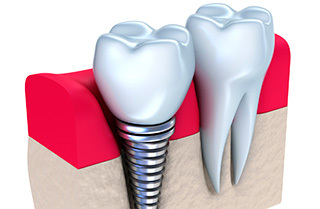 A procedure such as dental implant placement is conducted with local anesthetic. If you've ever had a filling, you know that this step alone blocks most sensations for the duration of a procedure. Usually, the majority of patients undergoing the implant treatment are comfortable with local anesthetic alone. However, because implant surgery requires more time than the average filling, we also give our patients the option of including sedation into their visit. In addition to calming anxiety and fear, sedation also maximizes the pain-relieving capabilities of local anesthetic. Three different types of sedation are available, and we are happy to discuss them with you prior to your surgery date. What about after dental implant surgery? Knowing you will be comfortable during implant surgery is one thing; but what happens afterward? Once the tiny titanium posts are in place, they need time to become fused with the surrounding bone tissue and heal. At some point after the procedure, the anesthesia is going to wear off, and you will be left with healing gums and bone. Just as we prioritize your comfort during implant surgery, we support you in the recovery process. Of course a bit of drilling in your mouth is going to be slightly disruptive. However, most patients are able to go back to work the day after their procedure! Mild soreness may linger for about a week. Typically, over-the-counter pain relieving medication can successfully resolve discomfort. However, if needed, prescription pain medication may be given. Most patients who undergo implant treatment describe post-surgical discomfort as very tolerable and better than they anticipated. Replacing missing teeth is one thing; restoring optimal function requires that we also look at the stability of replacement teeth. Learn about the advantages of dental implants, and how we can make the most of your experience with a personal treatment program. 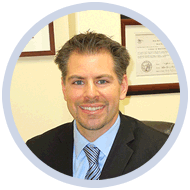 Call our Pasadena dentistDr. Vasag Bouzoghlanian at Prestige Dental (626) 577-2017.